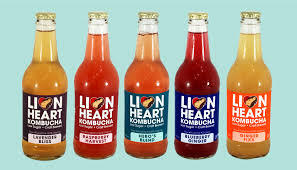 Lionheart Kombucha is a delicious drink made locally by one of Red Castle’s own customers. It comes in a variety of kombucha flavors and an amazing Ginger Brew variety. My personal favorite is Hero’s Blend, a delicious mix of herbs, it contains no sugar but packs a whole lot of flavor! Any are a delight and make for a refreshing choice during your gaming session!